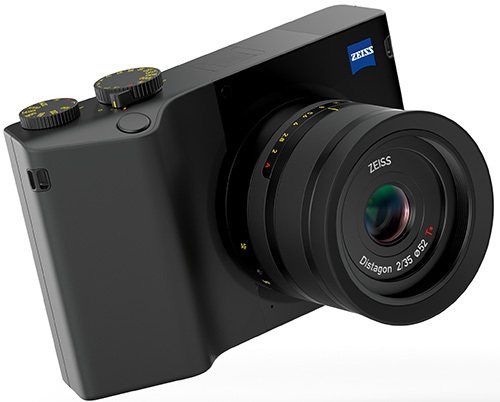 Zeiss has announced the ZX1, the company’s first-ever digital camera. It features a 37.4MP full-frame sensor, a fixed 35mm Distagon F2 lens and a giant 4.3″ touchscreen with a resolution of 1280×720 pixels. The ZX1 also offers full Adobe Photoshop Lightroom CC capability in the camera itself, allowing you to shoot, edit and share your photos on the fly. The ZX1 includes 512GB of internal memory but no memory card slot, there is also Wi-Fi, Bluetooth and USB-C connectivity. Zeiss says both the 37.4MP sensor and 35mm F2 lens were developed in-house and were designed from the outset to be matched with one another. Unfortunately the ZX1 does not come with any form of image stabilization. Zeiss claims the ZX1 can store approximately 6,800 Raw files in DNG format (or up to 50,000 JPEG files). Zeiss’ ZX1 website states that you can connect an external USB drive to the camera to offload images. 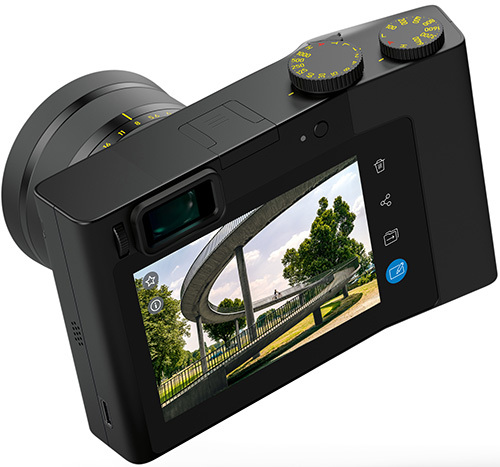 The ZX1 has an electronic viewfinder with an OLED panel at full HD (1920×1080) resolution and a magnification of 0.74x. There’s a flash hot-shoe, but no flash built into the camera body. The ZX1 offers single and continuous autofocus. The ZX1 is also capable of capturing UHD 4K at up to 30fps, and Full HD video at up to 60fps. There’s no details on pricing at this time, but the ZX1 will be available in early 2019. Further details can be found on the ZX1 Website. Here’s a short video from Zeiss introducing the ZX1.